According to the pilot, he had reserved a Cessna 172 but was mistakenly given a Cessna 162, an airplane he had never flown. Just this first sentence is pretty surprising. Naturally, people make mistakes, but at least in our experience, most FBOs have systems in place to limit the resulting damage. Each customer might, for instance, be asked to fill out a profile listing certificates and ratings held, total and recent flight times, and the dates of his or her last medical and flight review. Having a staff instructor spend a few minutes verifying all this against that pilot’s logbook isn’t a bad idea, and a new customer, even with extensive time in type, should reasonably expect a thorough checkout—not just stalls, slow flight, and a few landings, but a ground review of systems and procedures and maybe even a written quiz before any actual flying. Once all that’s done, you’d expect that profile to record which aircraft the renter’s been checked out in by which instructors on what dates—and the front-desk staff to cross-check it before handing over any keys. If the owners of the FBO (or any leaseback aircraft) don’t insist on it, chances are their insurance underwriters will. After flying to the practice area and preforming slow flight with flaps extended, he returned to the airport for landing. He said there was a helicopter ahead of him and he considered performing a go-around. The helicopter cleared the runway and the pilot decided to land. The airplane was going too fast and it bounced and began to porpoise. The airplane veered off the west side of the runway. The nose gear collapsed and the left wing struck the ground. The airplane came to rest approximately midfield. According to the operator, the firewall, fuselage, and rear bulkhead were buckled, and the left front and rear wing spars were bent. The pilot said he had never flown or had been checked out in a Cessna 162. In addition, he had not flown for some time and was trying to regain currency. So let’s review: An out-of-practice pilot apparently didn’t feel the need to ask a CFI to help him get those flying muscles back into shape. An FBO rented him an airplane without checking either his qualifications or his currency. When presented with a model he’d never flown before, that pilot saw no reason not to try figuring it out by trial and error. (Error won.) It seems fair to wonder what everyone involved was thinking, not to mention whether this particular FBO has tightened up its rental and checkout procedures as a result. 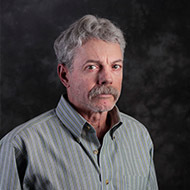 David Jack Kenny is a freelance aviation writer.